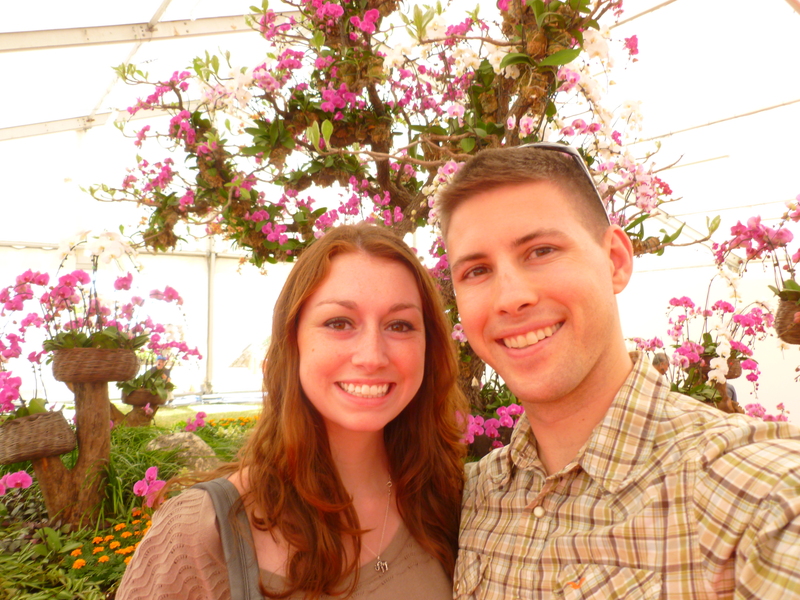 Two weeks ago, Casey and I decided to make good use of the little time he had left with me this month (he has been on a detachment off the island for most of February) and visit a few of Okinawa’s flower festivals. 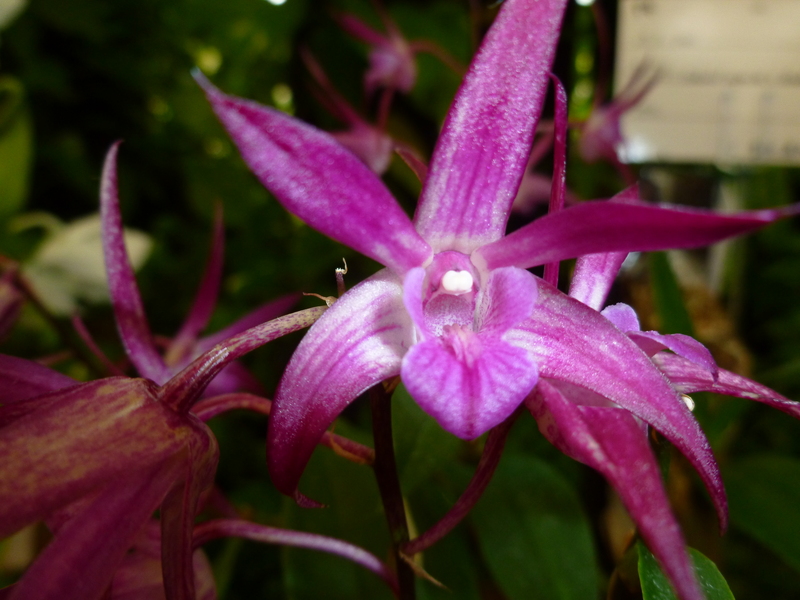 The Okinawans take nature very seriously, and their appreciation of flowers is both fun and admirable. 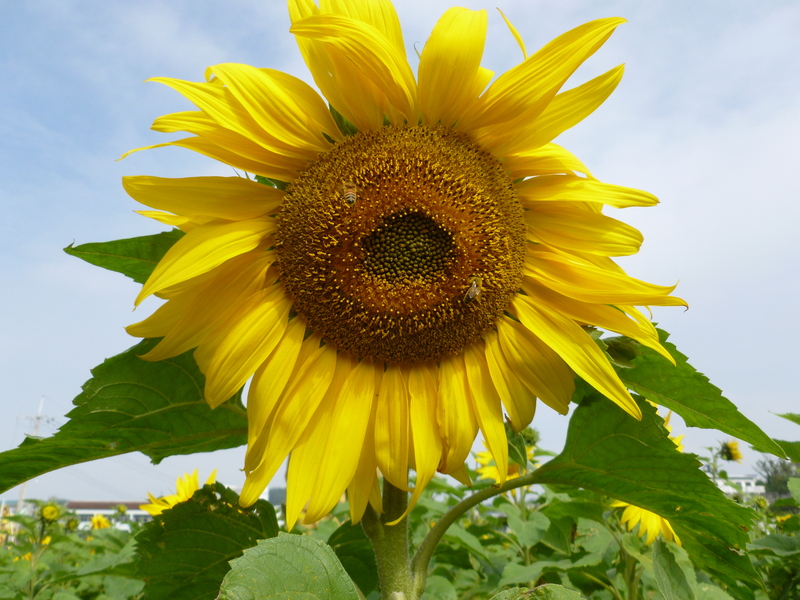 We went first to Kitanagusuku, an area not too far from where we live, towards the Southern end of Okinawa; where the Sunflower festival was in full effect. 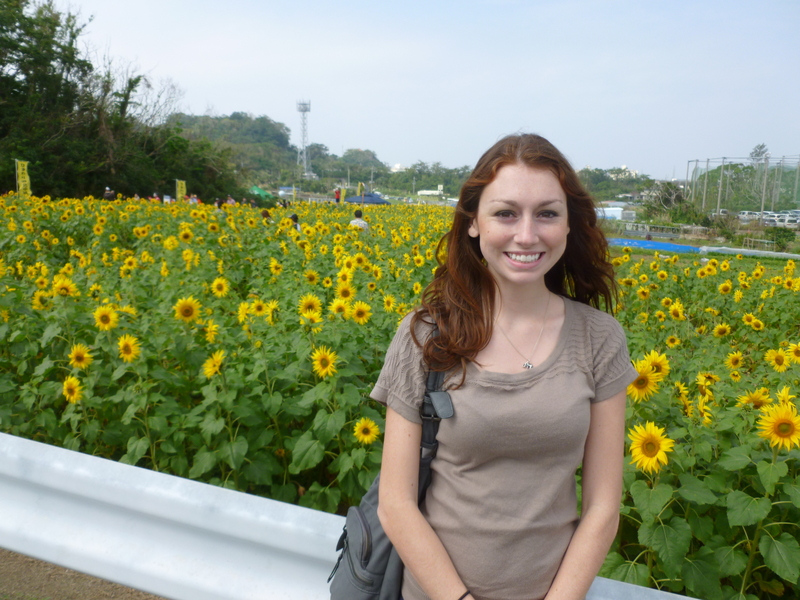 With three beautiful fields of sunflowers, local vendors, and a singing troupe of face-painted Okinawans marching through the street; it was a fun event! After spending time in the sun with these gorgeous sunflowers, we headed up north past the city of Nago to see the International Orchid Show! 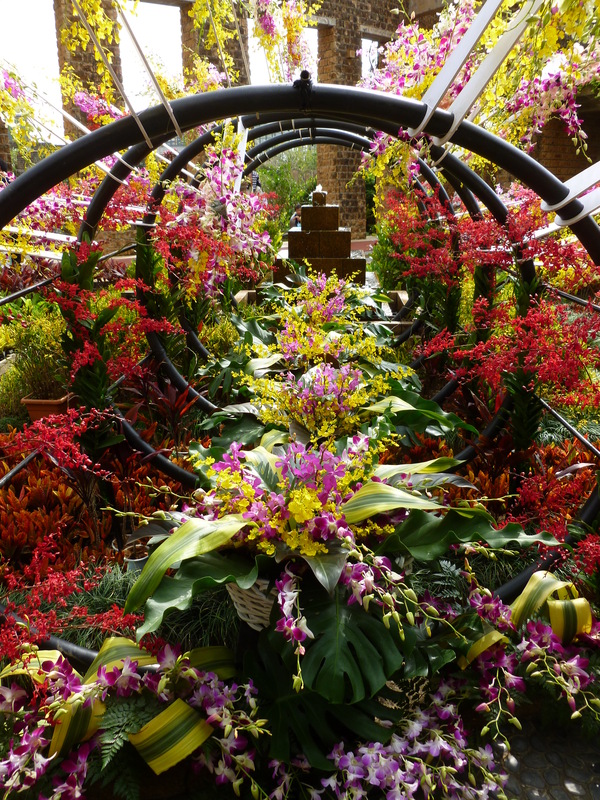 Apparently people had flown in from all over the world with the most beautiful orchids to showcase their hard work and the stunning diversity of the orchid plant. 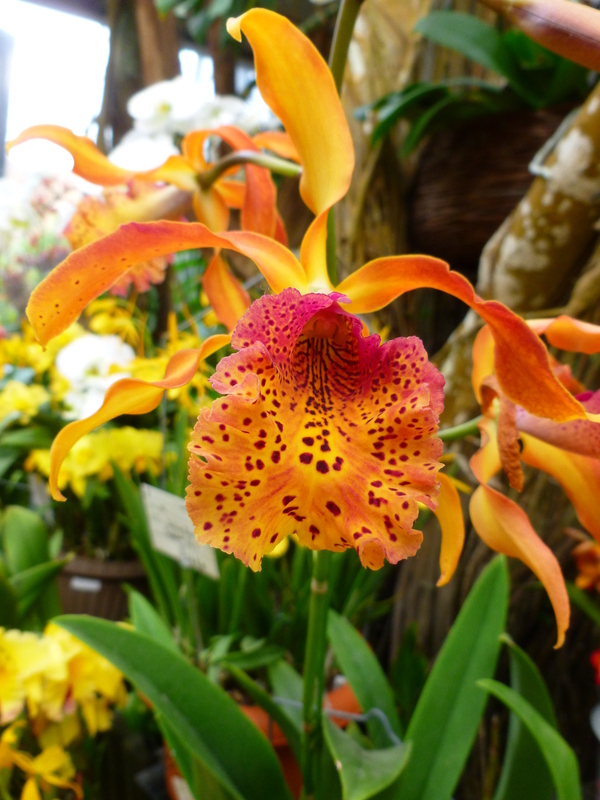 I’ve never been much of an orchid girl, but I was amazed by how perfect these flowers were. They almost looked fake! 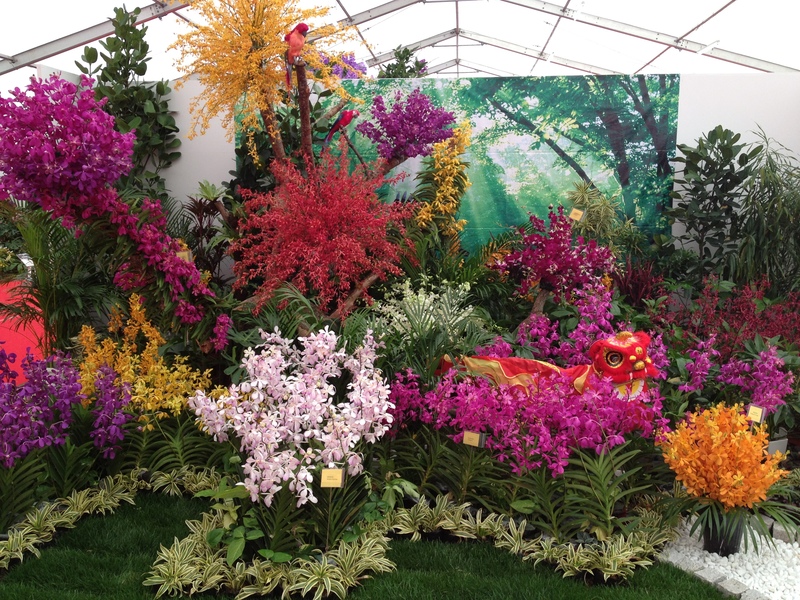 The show had everything from potted orchids to beautiful bouquets to huge displays of orchid forests! I’ll let the pictures speak for themselves (although I must say they did not quite capture it)! 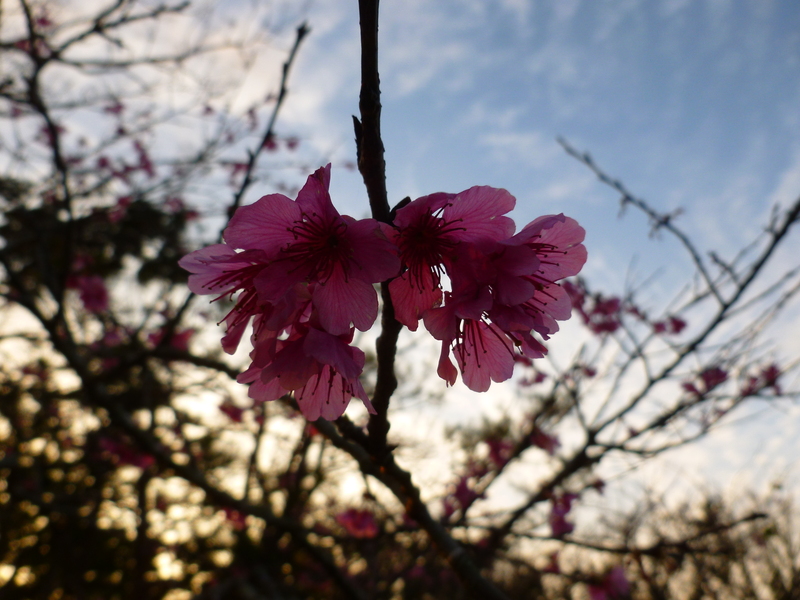 After the Orchid Festival, we headed back down to Nago city to Nakijin-jo castle to see the Cherry Blossom festival! 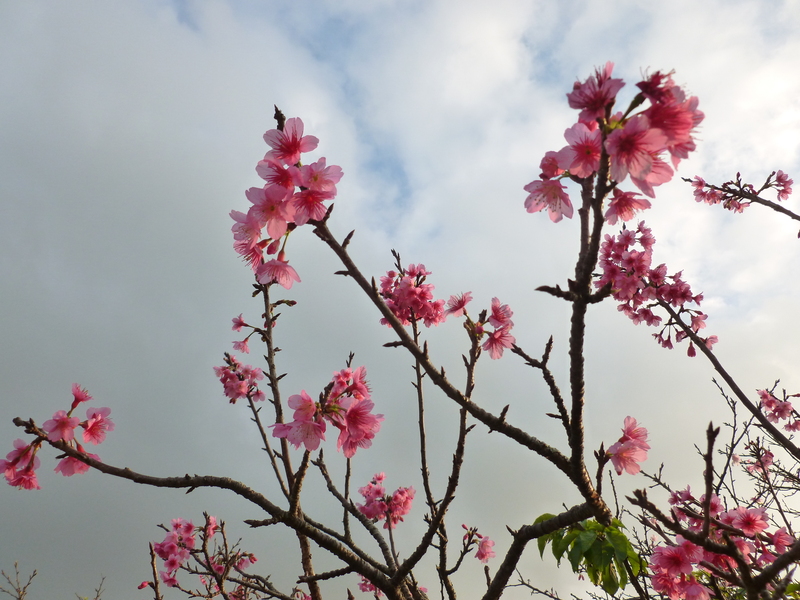 The cherry blossoms were not cooperating for the Okinawans this year, so many of the trees had not yet bloomed. However, the ones that had were gorgeous! I’ll post more pictures of the castle later, but for now, enjoy these gorgeous cherry blossoms! We were exhausted after a long day of exploring the island, viewing millions of flowers. 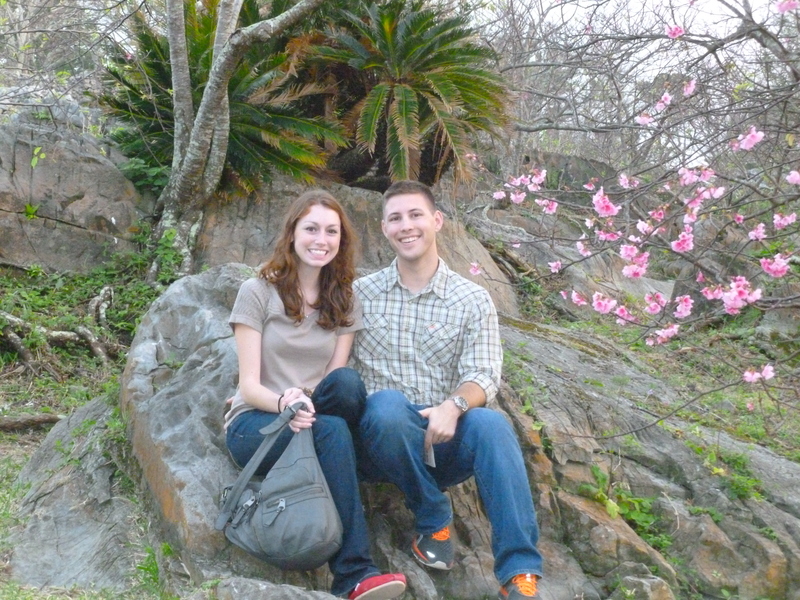 Through our Flower-thon, we came to appreciate the diversity of Okinawan plant life, in addition to enjoying the day with each other before Casey had to plunge back into preparing for his month-long trip. 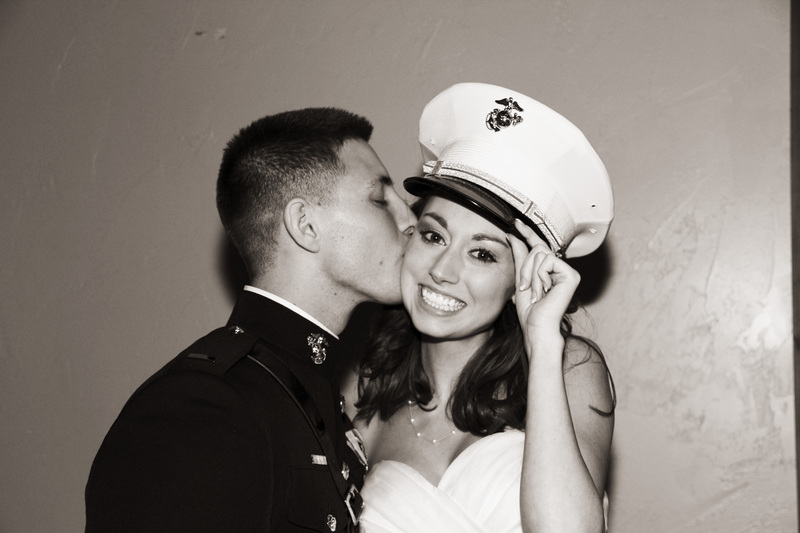 I miss him, so it’s nice to look back on a great day! 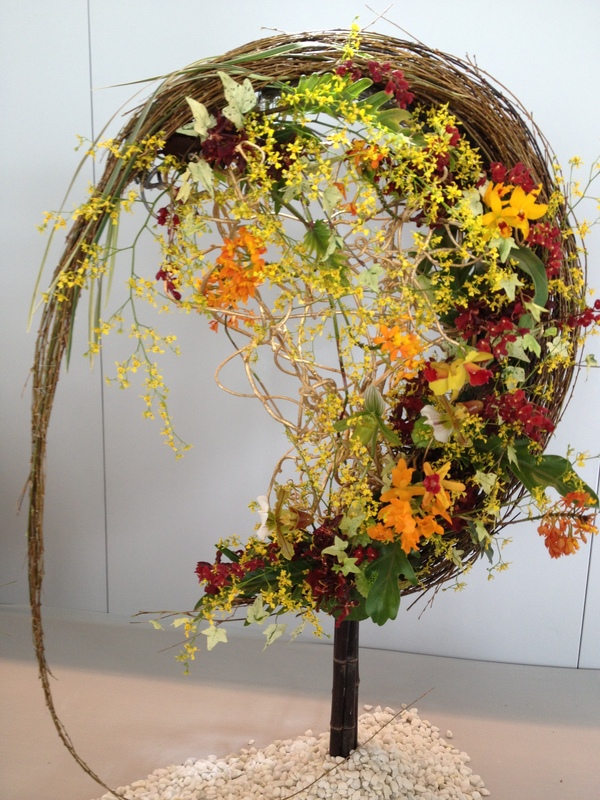 Wishing you all happiness and the prettiest flowers the world has to offer! Talk to you soon! Just had an awesome day of exploring the northern part of Okinawa with my hubby, followed by dinner by the waterfront at Pizza in the Sky. While the pizza was great, the sky was downright inspirational! Thought I might share it with the world! These were just taken with my iPhone, so needless to say, they don’t quite capture the beauty of my current slice of paradise. More on our adventures later! 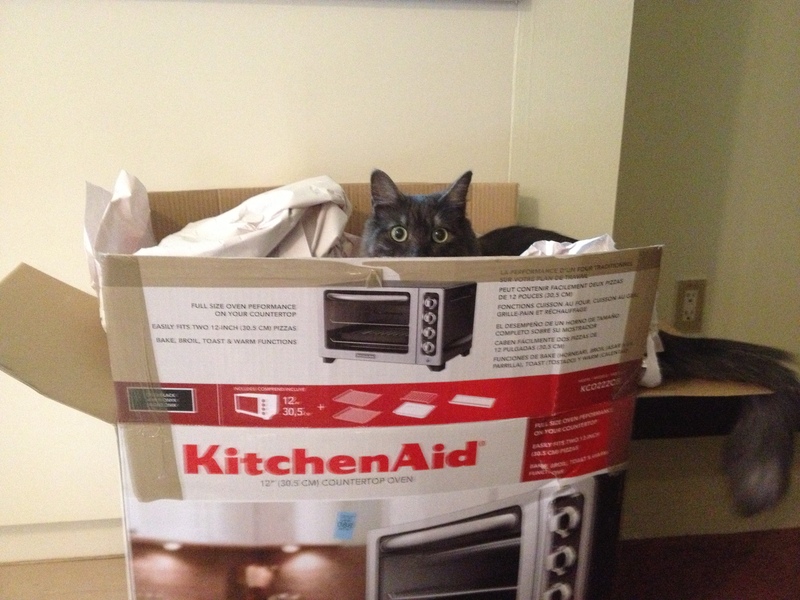 In late November, we finally received our shipment of household goods. After 5 moves in less than 3 years, we have become quite efficient at unpacking. (It also helped that we left most of our belongings in storage). Two months later, I am still working on making our apartment feel more like home. After unpacking, I launched into Thanksgiving preparation. This was my first Thanksgiving away from family, and I was determined to try and make up for that by cooking my first Thanksgiving feast. With Casey’s help (on the meat portions), I cooked a turkey, mashed potatoes and 2 types of gravy, rolls, cornbread muffins, 2 types of stuffing, green bean casserole, cranberry sauce, and 2 pies. It felt like a rite of passage into womanhood to pull that off, but I was exhausted and learned a lot about what not to do when cooking for 10+ people. It was wonderful to share the holiday with friends, but it was no substitute for hearing my baby sister say Grace back home. At the beginning of December, Barley gave me quite the scare. 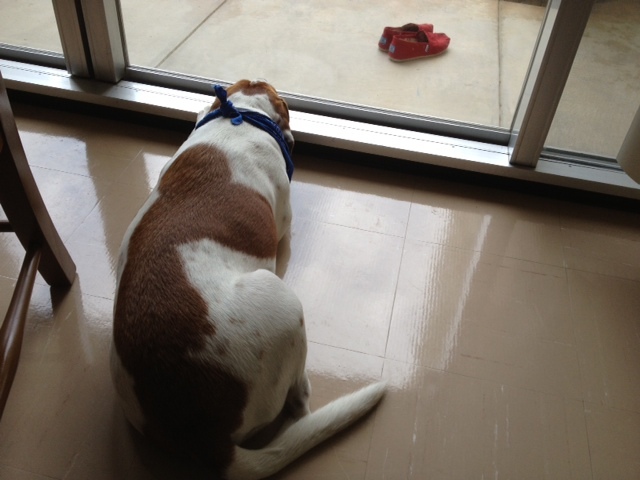 I came home one Saturday afternoon to find him shaking all over and lethargic. Getting him to a vet was a terrifying experience, as there was no one on base to see him. After multiple phone calls to vets out in town who repeatedly hung up on me because of the language barrier between us, I was able to get him to a vet clinic that could see him, where a fraction of the vet’s explanation was translated to me. Multiple appointments, many steroids, and over a month later, Barley is fine. With Casey out of town, I could not have gotten through that experience without the support of a few friends out here and the kindness of the employees at the vet clinic who tried their best to communicate with me. 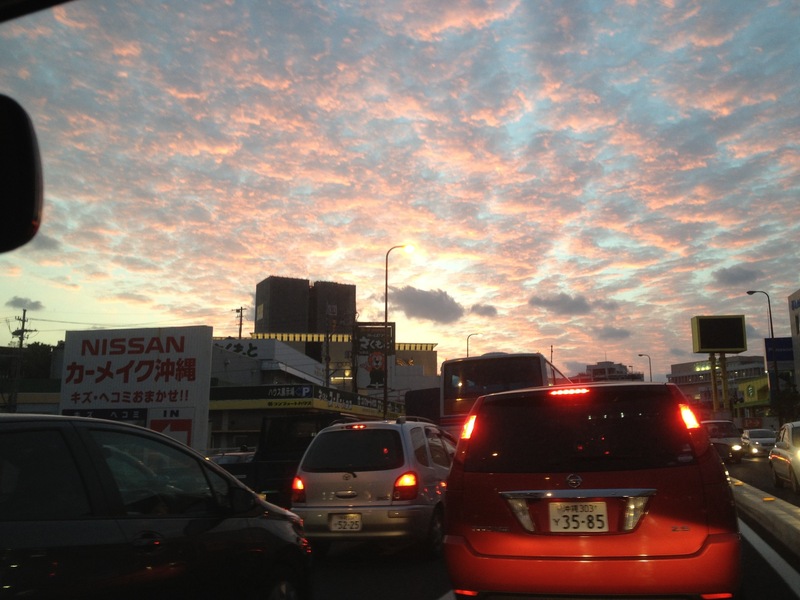 On the note of Casey being out of town, he has had a number of trips to mainland Japan, Hawaii, and Korea. His flights are more and more exciting, and he is truly loving his job. While I enjoy having him home with me, I am tremendously happy to see him finally reaping the rewards of all his (continued) hard work! 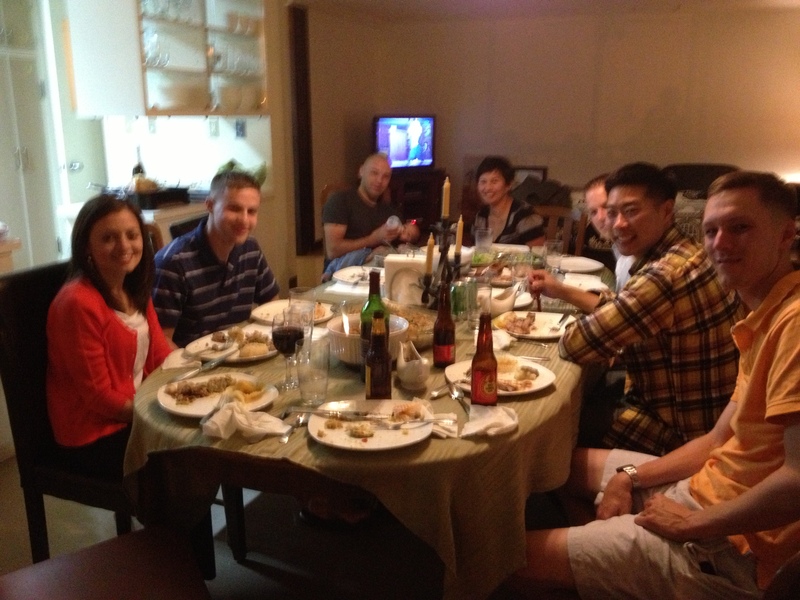 This month, we enjoyed a fun celebration of the New Year with our new found friends, and even had a visit from a good friend from the states, Farrah! I have been taking a Japanese class, and am fully enjoying my little interactions with the Okinawan people as I slowly learn the language. We look forward to all the new adventures 2013 will bring us! I hope that all of you enjoyed your holiday season, wherever you are in the world. On our first weekend in Okinawa, our new friends Claira and Slade picked us up from the hotel and introduced us to some Okinawan history! 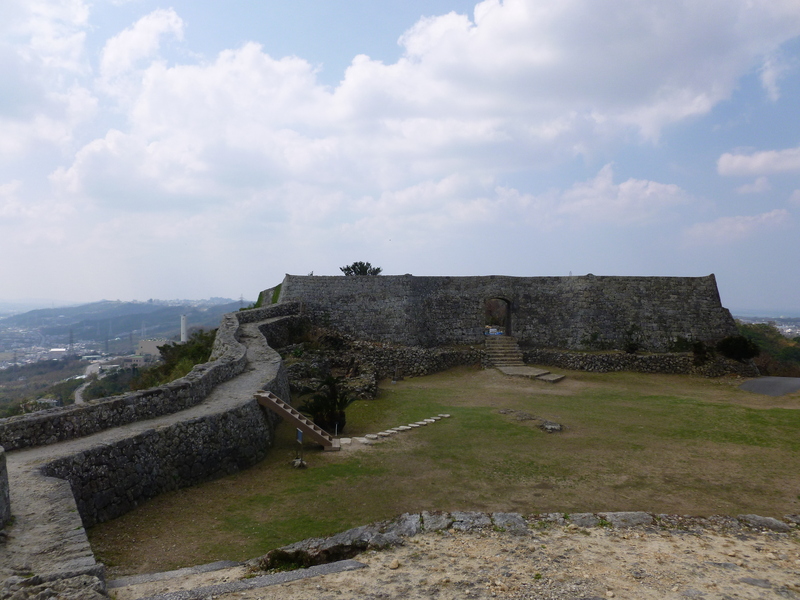 It took us awhile to find it, but deep in the hills we found the historical site of Nakagusuku castle, a 14th century fortress with a beautiful view of the surrounding landscape. The castle was constructed without the use of any mortar or cement, which is incredible considering the longevity of the structure. They carved the limestone so that each piece would fit perfectly with the adjoining pieces. Not only has it survived the intense weather of the last 7 centuries, but it also survived some fierce battles in WWII! 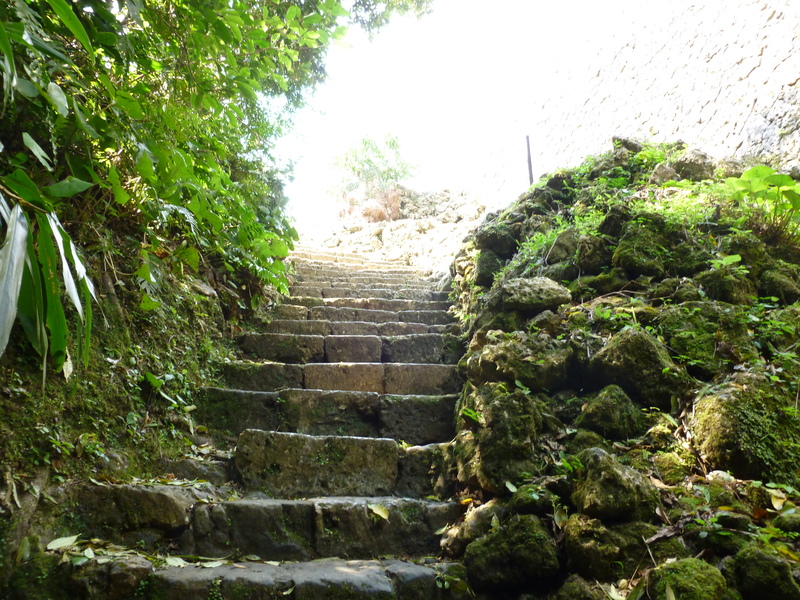 This is one of multiple castle sites on the island, although it is one of the best preserved. 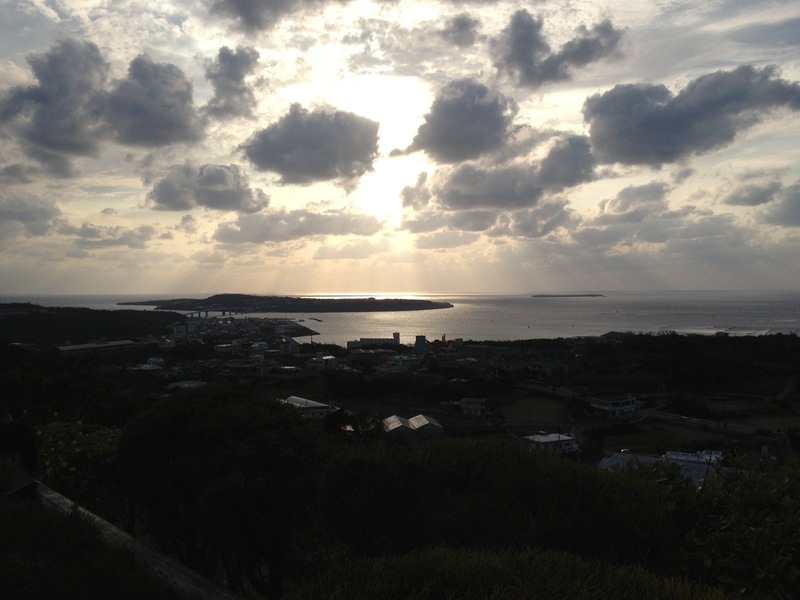 In the ancient Ryukyu period (between the 14th and 17th centuries), Okinawa was divided into 3 kingdoms. The kingdoms co-existed peacefully for many years, thriving on trade with China, until at some point one ruler conquered the rest in a story I’ll have to save for a day when I have my facts straight. 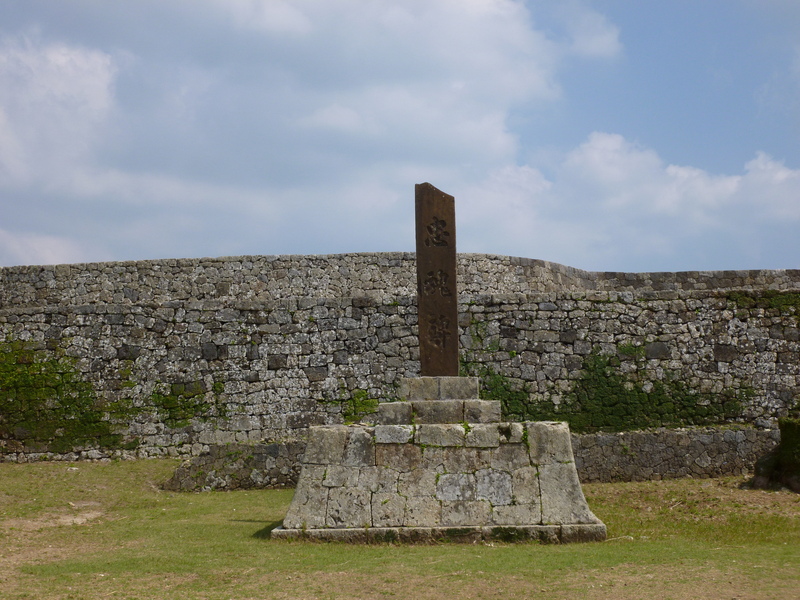 🙂 When Japan annexed Okinawa (then known as the Ryukyu Kingdom), these castle sites became designated as National Historic Sites. 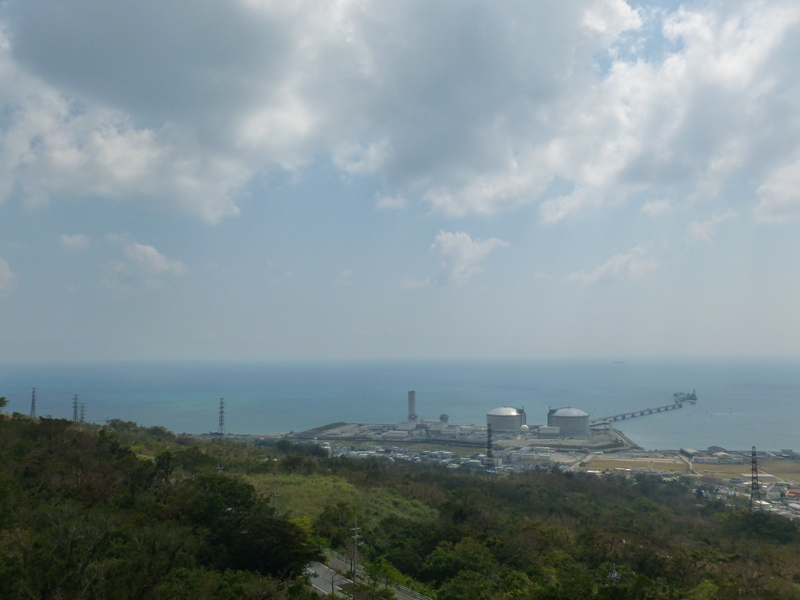 From the top of the enclosure, you can see where the Pacific Ocean meets the East China sea. 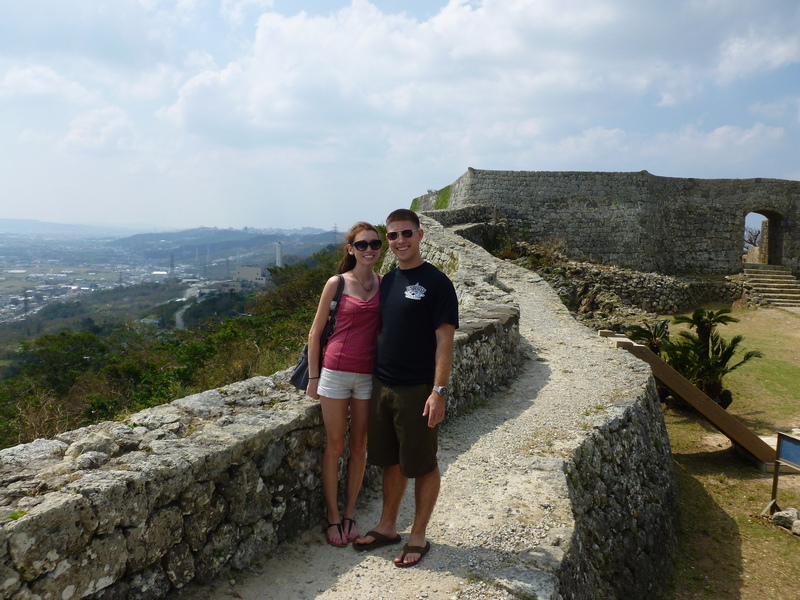 We had a great time checking out the ruins of Nakagusuku castle, but then our friends told us they had more to show us. 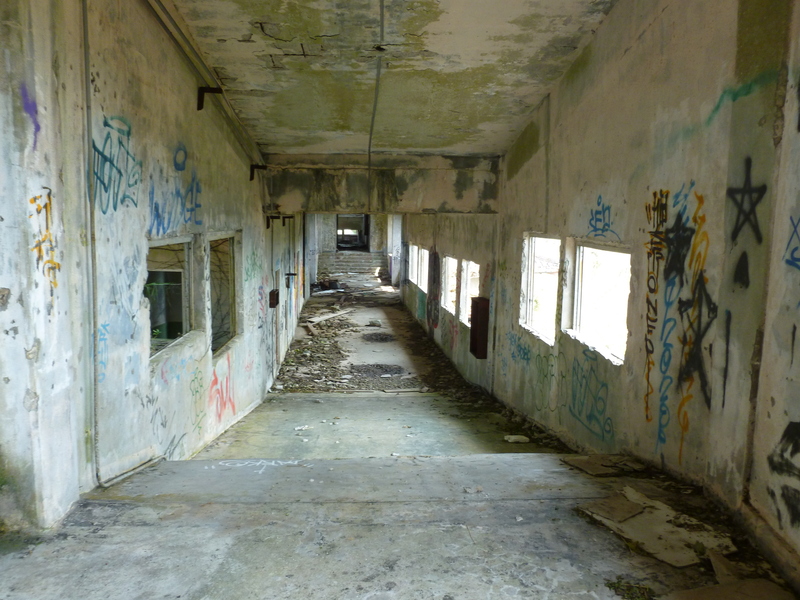 Walking distance from the castle was the creepiest place I’d ever seen… the old abandoned construction site of the Royal Hotel. 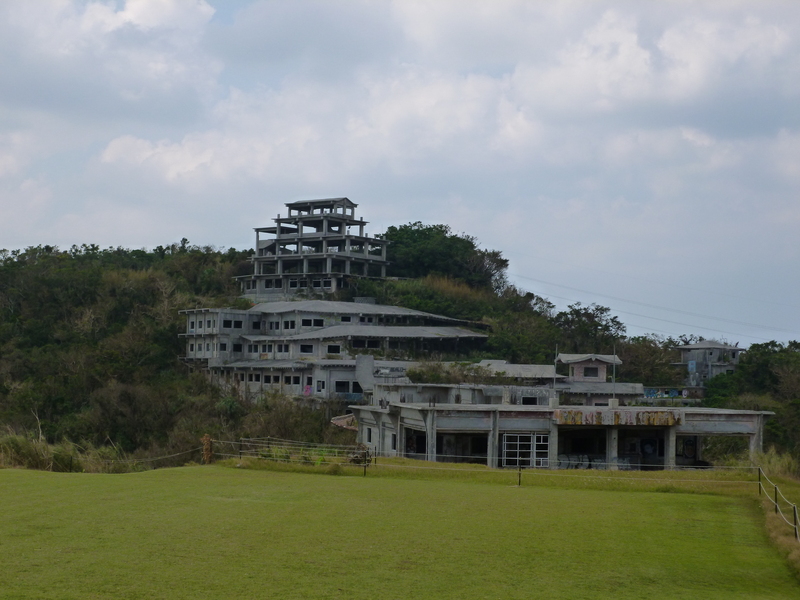 Apparently, this hotel was being built in the 70s, and was supposed to be the most extravagant hotel on the island. 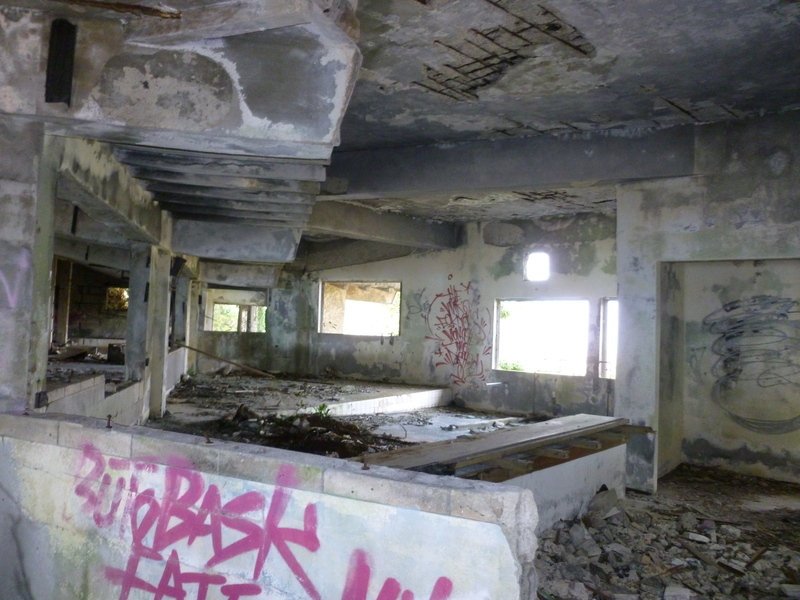 Weird things started to happen during the hotel’s construction, and the construction workers came to believe the site was haunted. 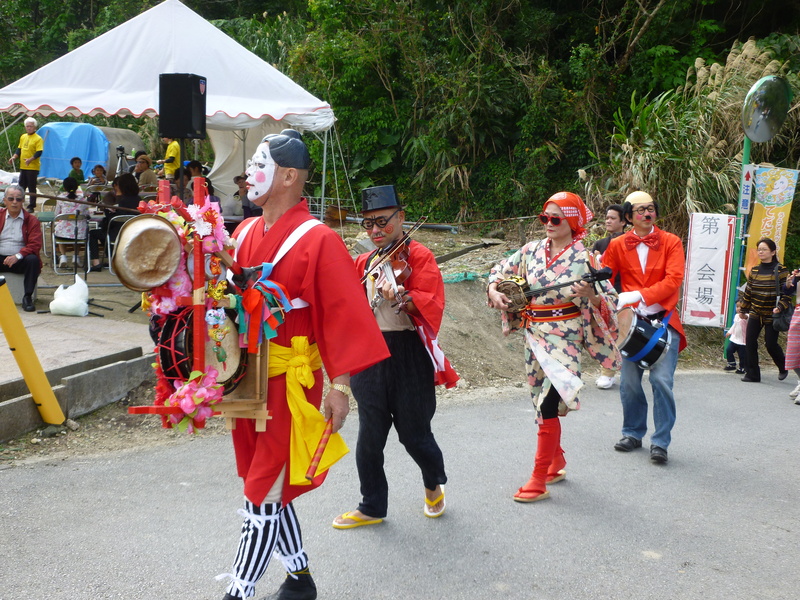 I’ll have to explain Okinawan spirituality more in depth in a later post, but I will tell you that they believe that the dead remain on the earth, and their spirits can and do cause harm to the living. Whether the owner of the hotel went bankrupt or was encouraged by an unfriendly spirit, he committed suicide and the hotel has not been touched since. (Except by graffiti artists and copper collectors)! I have no idea how someone managed to get a car onto the 3rd floor! This would not exist in America- it would either be bought and taken over by someone else or torn down. We were able to climb concrete staircases without any siding up 5 flights- a law suit waiting to happen (in America, that is)! The view from the top was amazing! 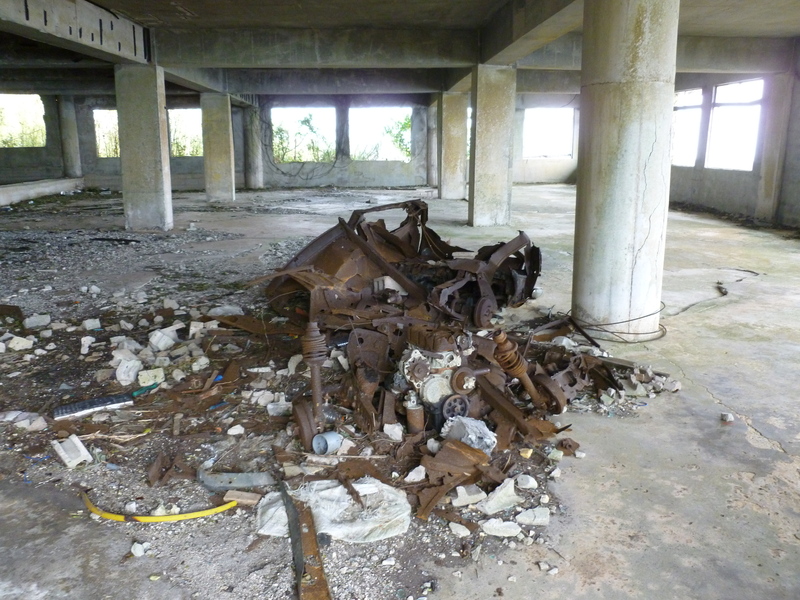 If I were an Okinawan ghost, I’m sure this wouldn’t be a bad spot to haunt. Stay tuned for snorkeling, flying, shopping, driving, beer-drinking adventures! 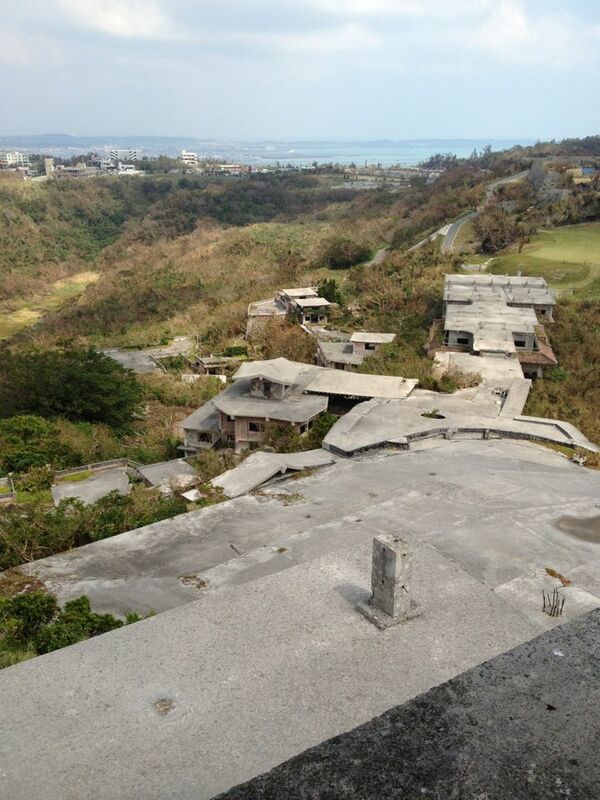 Casey and I are doing very well here in Okinawa, adjusting to the change of scenery as best we can. I plan to write individual posts on the major things we have done so far, but I feel the need to do a quick update to fill you all in. We have government furniture and a few hundred pounds of our own belongings which were shipped over to Okinawa in our express shipment, however most of our possessions remain on a ship somewhere on the Pacific. I am sure we will feel at home as soon as we get our things moved in. We took our driver’s tests to get our Japanese driver’s licenses, learned how to drive on the left side of the road (more on that here), and purchased our cars. 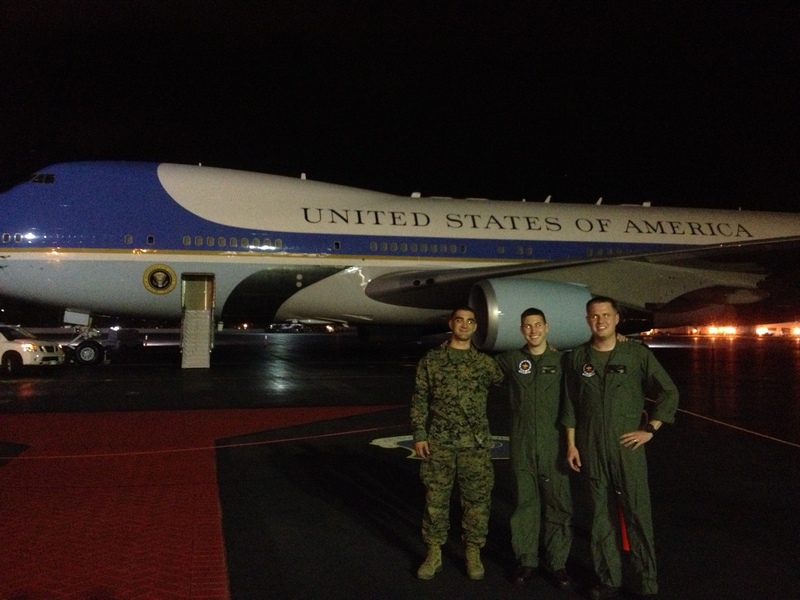 In addition to learning to drive a car again, Casey had to step out of the simulator and into the C-130J Hercules! We are so excited that he is finally getting to fly that beautiful beast! 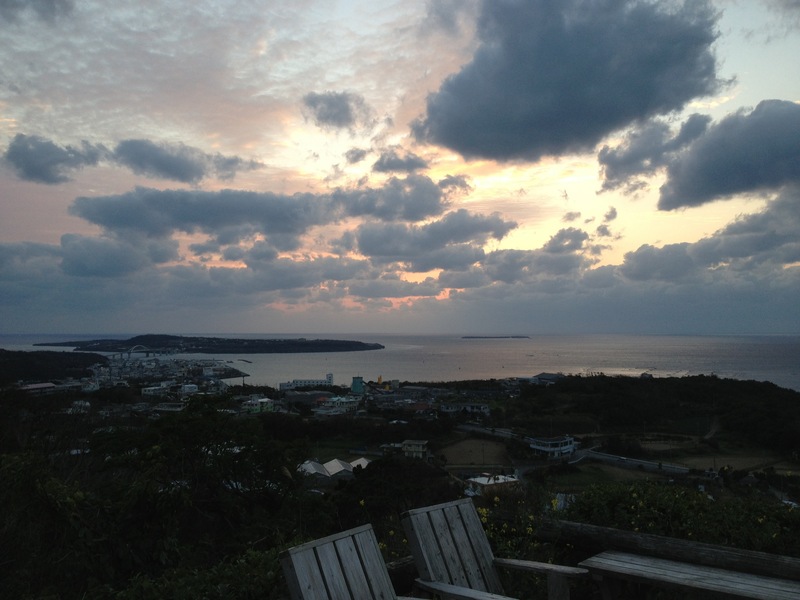 He has spent some time flying around on mainland Japan, while I have been busy back here in Okinawa. In the short time we have been here, we have met some wonderful new people, and we are positive that we will develop some lasting friendships and some incredible stories to tell from the adventures we will have. These, of course, I look forward to telling you all later!